There are two designs presented on this board. 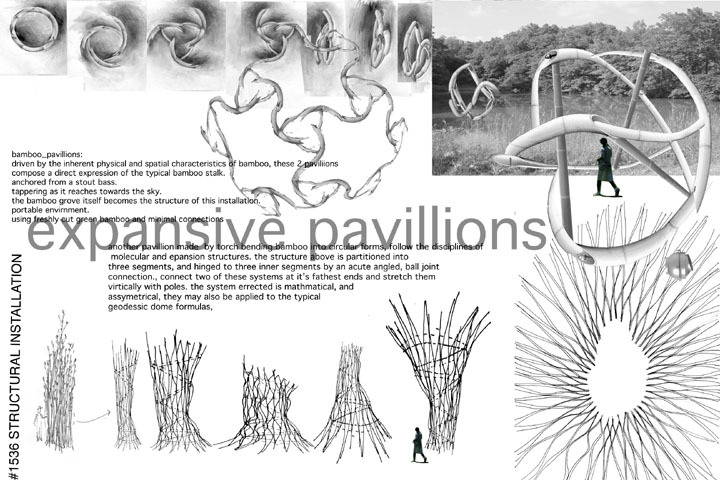 One is for an expandable bamboo pavilion that is partitioned into three segments by an acute angled, ball-joint connection. The other works with a more organic quality and uses untrimmed, rugged bamboo culms to create an expandable stack of poles.